John’s Note: Successful bass fishermen study bass and learn their patterns. 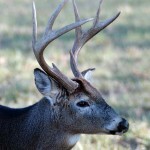 Once you learn to identify and read buck sign, you can match your tactics to what the deer are actually doing – instead of what you hope they’re doing. 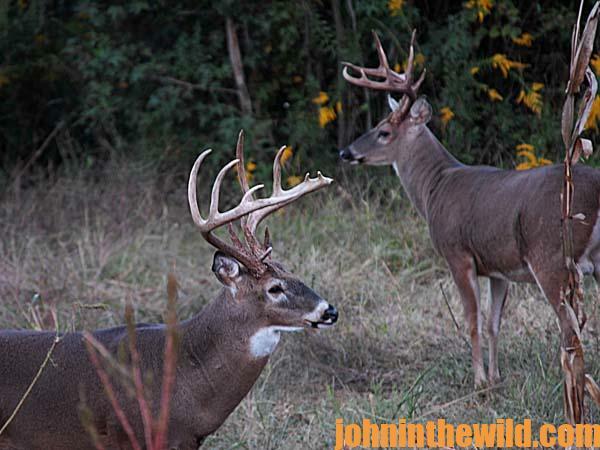 Once you have narrowed your hunt plan down to the regions you can hunt, then you need to rank them in the order that you feel they will be the most productive. Then if your hunt is spoiled in one area, you still have several other regions you can hunt that day where you may see a deer and take him. 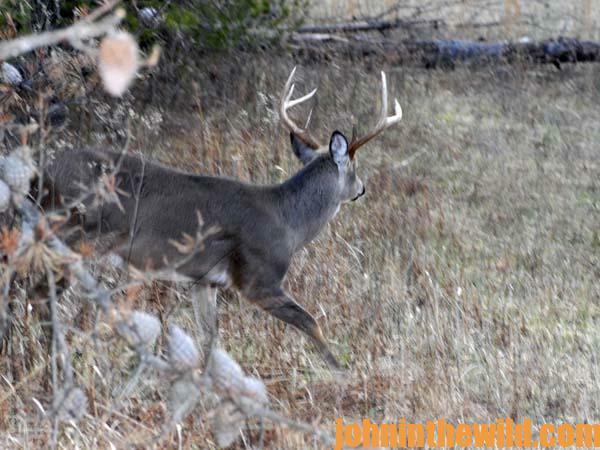 If the wind is wrong, if another hunter comes into your area, if you miss a deer, or if for some reason you feel that where you are hunting is unproductive, you still have backup areas to hunt. 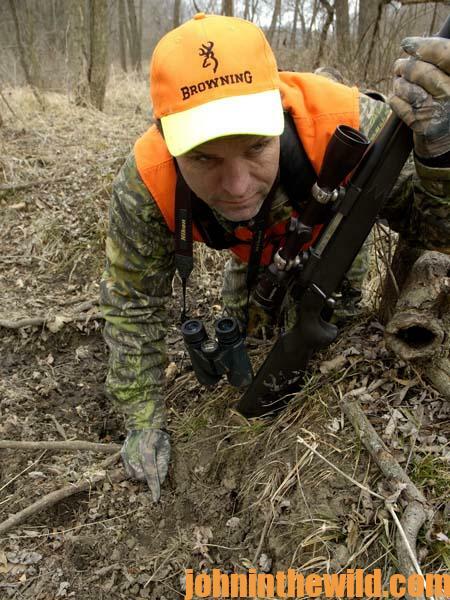 The longer you stay in one particular part of the woods, and the more you learn about it, the easier time you will have eliminating hunt sites. 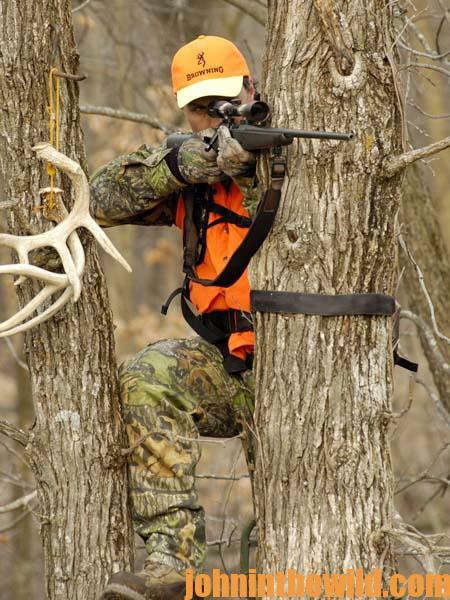 By eliminating non-productive places, you can maximize your time in the regions that should produce the most deer. There is one other key ingredient that is absolutely essential in setting-up a successful hunt plan and eliminating non-productive hunting regions. 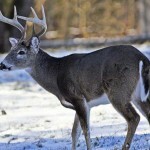 A compass and a GPS are vital tools for productive deer hunting. Once you determine where you plan to hunt, then take a compass reading, and determine which way you can approach your area and hunt there with a favorable wind. In the oak bottom where the deer were feeding (see Day 3), I determined that I could hunt with either a north, a south or a west wind. But if the wind was coming from the east, I wouldn’t be able to hunt, because the wind would carry my scent into my hunting area. However, on the creek bottom, I could hunt with any wind direction, except a westerly wind, while on the green field I could hunt with any wind except a northern wind. 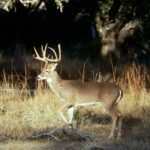 So, by knowing which prevailing wind will carry your scent into your hunt zone, you may be able to eliminate several of your hunting sites before you ever go to them. 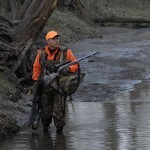 The process of elimination allowed me to be in the right place at the right time to see the deer. 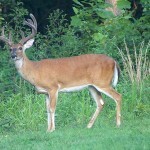 Even though I didn’t bag my buck, I learned a hunting tactic that will help me get another shot at another buck in yet another place.